Preset configuration of the white form above - search for an exotic car or a cabriolet at 'Belgrad Nikola Tesla - Airport'. Address: Belgrad Airport, Aerodrom Belgrad, Serbia. 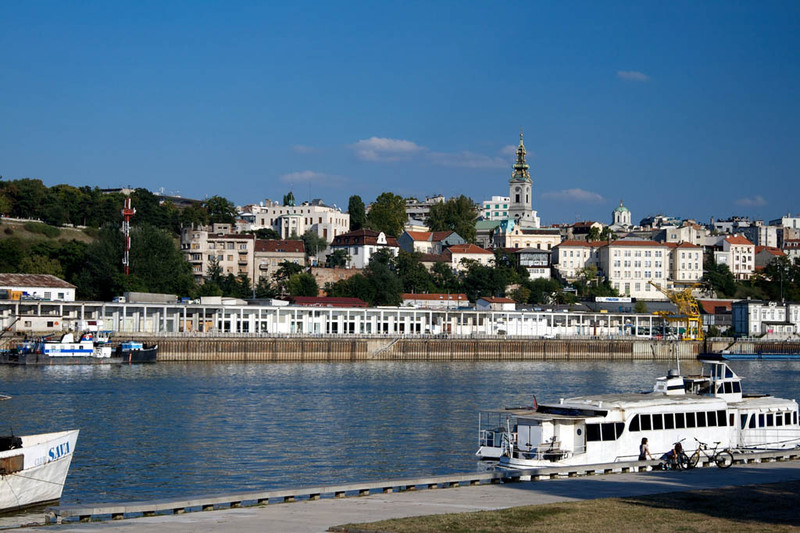 In Belgrade, we provide vehicles at 2 different rental locations. Cars with a folding roof are rather of a rare type, so they are mostly offered in airports and railway stations. We advise booking a cabriolet in Serbia in advance (several weeks or even several months prior to your trip), since the availability of convertibles in our car park is quite limited. The most widespread cabriolet models offered for rent in Serbia are: BMW 3 series Cabriolet, Peugeot 206 Cabriolet, Renault Megane Cabriolet and Audi A3 Convertible. At the booking time, please check the rental conditions carefully. Quite often, rental offices in Belgrade require two credit cards to guarantee issuance of a cabrio or a roadster. We recommend ordering additional no-excess insurance that covers your risk (franchise), since the franchise amount for cabriolets in Serbia is quite high. Make sure to inspect the rental invoice issued at the office in Belgrade and compare it with the information indicated in your voucher. Sometimes, rental officers make 'unintentional' mistakes in rental invoices. When parking a cabriolet in Belgrade, it is recommended to unfold the roof and close windows in order to prevent theft or robbery. OrangeSmile.com wishes you an exciting journey with an open roof around Serbia! Church of St. Sava is one more striking religious attraction. The construction of the church took place in the 16th century. According to a legend, the site on which now stands the cathedral was the location of the penalty of St. Sava in the 12th century. St. Sava was the founder and the first archbishop of the church, which was completely destroyed by Turkish conquerors. The spacious halls of the church can accommodate up to ten thousand visitors at a time, and its beautiful gilded dome is visible from virtually any part of the city. 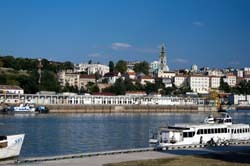 Belgrade is home to a large number of museums and exhibition galleries. Nikola Tesla Museum is definitely one of the most visited cultural institutions of the city. Its opening took place in 1952. The location of the museum is also notable – it occupies a beautiful old mansion. Today, the exhibition of the museum features a huge collection of personal items of the inventor, various documents, photographs and drawings. Museum of History of Yugoslavia, which is located next to the Mausoleum of Tito, is a perfect place to get acquainted with the history of the country. Your excursion program should necessarily include a visit to the Royal Palace, which was built in 1884. For a long time the beautiful palace has been remaining the main residence of monarchical dynasties. The beautiful building was seriously damaged during the war, but later it was fully restored by modern architects. Continue your acquaintance with unique architectural monuments of the city by making a walk to the district of Skadarlija, which is home to numerous mansions and other beautiful historic buildings. Here you will find various shops, souvenir outlets and restaurants. Belgrade's Military Museum tells its visitors about the tragic events of the past and the heroism of the residents of the city. The exhibition of the museum includes more than forty thousand exhibits. If you are planning a group trip, it will be savvier to rent one minivan or minibus instead of two or three cars. However, tourists should not forget that in Serbia in order to drive a car with capacity of more than 8 passengers, a driving license of a special category is required. Your reservation will be considered valid only if you hold a driving license for more than one year with no major violations.